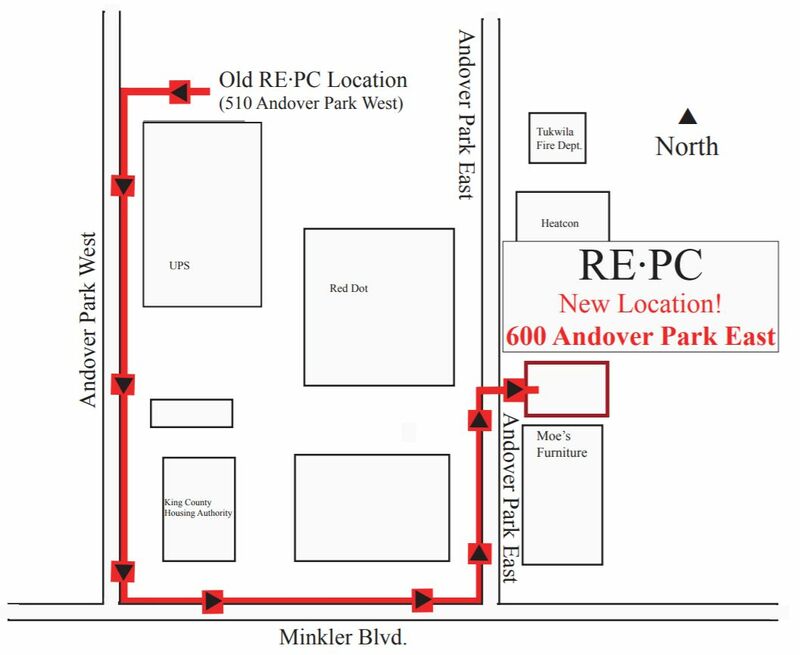 RE-PC's Tukwila location has moved to 600 Andover Park East! RE·PC buys, sells, recycles & repairs computers and electronics and largest computer retail recycler in the Pacific Northwest. Since 1994, RE·PC has recycled thousands of tons of computer material. Thanks for visiting to see why RE·PC is "Recycling in the reusable sense of the world." RE·PC is a signer of the Electronic Recycler's Pledge, a member of the TAKE IT BACK! Network and a collector for the E-Cycle Washington Program. Here you will find items that we that are unique and not found at our retail stores. We apply our extensive experience with a wide variety of computer systems to helping you solve your upgrade, repair and diagnostic problems. Click here to find out our locations.